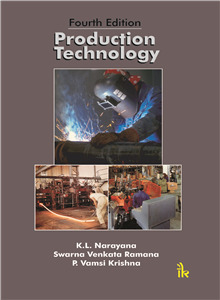 K. L. Narayana | I.K International Publishing House Pvt. Ltd.
received his ME degree from Indian Institute of Science, Bangalore, after receiving his BE degree from Govt. College of Engineering, Anantapur, affiliated to Sri Venkateswara University, Tirupati. He is awarded with PhD from Sri Venkateswara University. He is the recipient of Gold medal at B.E from SVUniversity.